The parking lot often times fills early in the morning. A camp also uses the road to park their staff vehicles on certain days of the week. 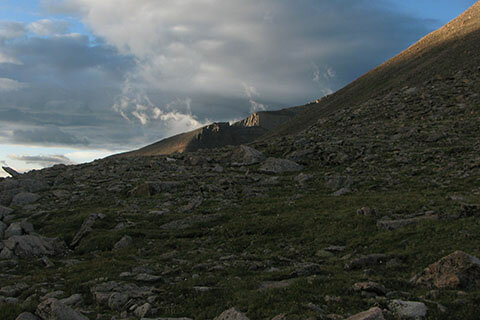 Some hikers start their climb as early as midnight. Plan a schedule of when you should be at each waypoint along the trail and route. 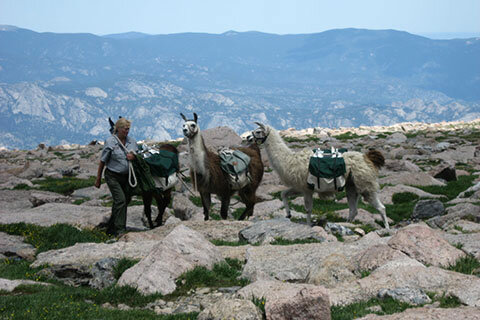 A fit acclimated day hiker should average about 2 mph on the trail and 1 mph on the route (above the Boulderfield), plus stops. Leaving the trailhead, you are fresh and ready to climb a mountain. The trail is in great condition and some hikers have a tendency to travel as fast as they can. Slow down. The trail is steeper than you might think. Start from the trailhead at a slow steady pace and then slow down if you are still breathing hard. 2 mph is not fast. A headlamp is necessary for a pre-dawn start. Practice hiking with a headlamp before the trip. Know how to change the batteries in the dark. Carry spares or a spare light. After walking a short distance, plan on adjusting your clothing by taking a brief stop to add or take away layers. Plan on eating and drinking while moving. At each junction or waypoint, pause for a second, and check the map. Don't blindly follow the lights ahead of you, you never know where they might be going! Water is available from Alpine Brook at several locations. At Jims Grove Junction (2.5m) the trail leaves Alpine Brook. A few streams of water may also be found coming down Mount Lady Washington as the trail traverses the slope. The last reliable source of water is at the Boulderfield. Filter or purify all water. Privies are available at Mills Moraine (Chasm Lake Junction) and at the Boulderfield. 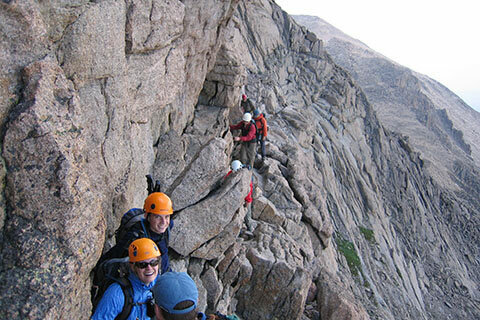 At the Boulderfield, the trail ends and the scrambling begins. The wind always blows hard through the Keyhole. Most times it is not as windy once the gap is cleared. Step as if every rock is loose. You really can avoid kicking rocks as you walk, but you have to try. Pay attention to each step. If others are climbing above you, expect falling rocks. 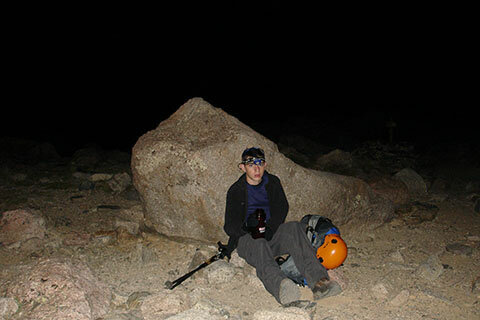 Wear a helmet, move to the side, or take shelter to avoid the rockfall. Practice good route finding. Find the easiest passage for you. On the summit, it is time to yodel in jubilation, but you're only halfway. You still have to go down the mountain. We take a small break - eat and drink, and then head down. Don't let the weather catch you napping! A long summit rest for us would be 15 minutes, most are shorter. When down climbing the Homestretch, it's okay to sit and scoot! Practice minimum impact traveling. Stay on the trail.